Princess Merida, first born of the clan Dun Broch, and star of Disney-Pixar’s Oscar winning film Brave is to be officially inaugurated as the 11th official Disney Princess. 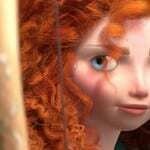 Merida will create history as being the first Pixar character to become a Disney Princess. The fiesty Scottish redhead will also be getting a slight 2D makeover in order to fit in with the other ten leading ladies. Merida is actually the second Princess to be going from CGI to 2D, as Rapunzel from Tangled was the first. Merida will be joining the likes of Princesses Snow White, Cinderella, Aurora, Ariel, Belle, Jasmine, Pocahontas, Mulan, Tiana and Rapunzel, all of whom also recently got contemporary artistic makeovers. Anna and Elsa, the leading ladies from Disney’s 2013 animated feature Frozen will be joining the Princess lineup next year. 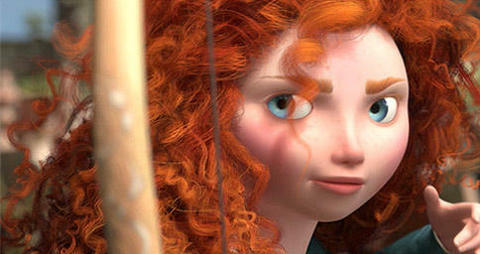 What do you think of Merida’s new 2D design? Are you excited to meet Merida in person as an “official” Princess?